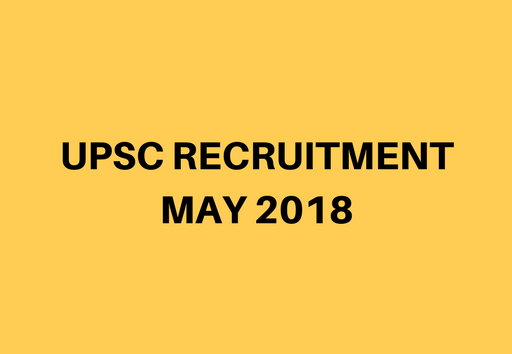 Union Public Service Commission (UPSC) has released recruitment notification for the post of Manager, Specialist, Asst Geologist, Legal Advisor and other several posts. Interested and eligible can apply on or before May 3, 2018. Candidates applying must be below 50 years of age. Age relaxation is admissible as per the rules. Interested candidates applying under General and OBC categories have to shell out Rs 25 whereas SC/ ST/ PH/ and women candidates are exempted from Application fee. NOTE: Payment made through online mode- Credit/ Debit Card, Net Banking- are only acceptable.